Beach Camera has the Canon EOS 6D DSLR Camera (Body Only) and Canon EOS 6D DSLR Camera with EF 24-105mm f/4L IS Lens kit in stock. B&H also has the Canon EOS 6D DSLR Camera (Body Only) in stock. The Spider Camera Holster is easily one of the best camera carry systems available. Check it out. B&H has the Canon EOS-1D C Camera available for preorder. Amazon is featuring the Eye-Fi 16GB Pro X2 Class 10 SDHC Memory Card as a Lightning Deal for $79.99. Regularly $99.99. Gitzo are proud to inform you of the launch of two updated models in the Traveler tripod range. Traveler tripods have always been the most compact in the Gitzo range without compromising on stability and sturdiness. Now we’ve added flexibility to the range integrating a ser. 1 and a ser. 2 traveler without head with a shorter column so to be capable to attach your own compact head. All updated Traveler tripods are made from 6X carbon fibre with Gitzo’s traditional “noir décor” paint finish used on cast components. B&H carries the Gitzo GT1544T and GT2542T Traveler Tripods. Adorama has just implemented new, less-expensive shipping rates to Canada and now also handles the customs clearance. If you are in Canada, definitely check them out! Adorama just informed me that they will be shipping the Canon EOS 6D DSLR Camera Body and w/Lens Kit this week. Note that the Canon EF 24-105mm f/4L IS USM Lens is only $600.00 additional after $200.00 instant rebate when purchased in the 6D Kit. The instant rebate ends January 5, 2013. B&H has informed me that they will be shipping the Canon EOS 6D DSLR Camera on Friday or Monday at the latest. Just posted: Think Tank Photo Glass Limo Review. The Glass Limo is an ideal carry/storage solution for a 500mm f/4 lens with a DSLR camera mounted. Or for a wide variety of smaller combinations and accessories. Think Tank Photo now has the new Glass Limo in stock. B&H has the Canon EOS C100 EF Cinema Camcorder in stock. Thanks to all that participated! TWO NEW CREDENTIAL HOLDERS RELEASED! For you sports and event photographers who need quick access to your credentials, smart phones, pens and other items, we just released two new credential holders. They are the Credential Holder V2.0 and the Credential Holder Tall V2.0, which is designed to hold larger credentials. The new credential holders feature large clear windows, multiple pockets, including a zippered pocket for business cards, and a belt attachment loop. They also have a wide, soft, adjustable neck strap, YKK zippers, a large pocket that holds most smart phones, another large front pocket underneath the flap and behind the credential area, two pen holders, and a credential area secured by hook and loop. The all fabric exterior is treated with a DWR coating while the fabric underside is coated with PU for superior water resistance. They are made with 210D black nylon, 250D Shadow rip-stop nylon, clear PU, and 3-ply bonded nylon thread. Check out Think Tank Photo and receive a free gift with the purchase of $50.00 or more as a reader of the site! 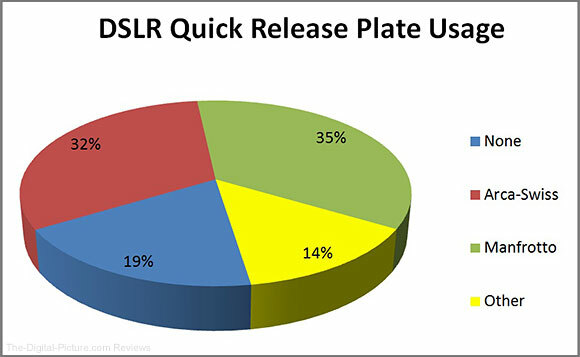 112 new lens / camera combinations have been added to the DxO Optics Modules library, providing supports for Canon, Lumix, Konica Minolta and Sigma lenses, for Canon, Sony and Konica Minolta cameras. The complete list of New DxO Optics Modules is available on DxO's website. Nikon Corporation (Makoto Kimura, President) is pleased to announce its official partnership with the Fédération Internationale de Natation (FINA) at the 11th FINA World Championships to be held from December 12 to 16, 2012 in Istanbul, Turkey. As an Official FINA Partner, the Nikon logo will appear at the venue on photographers' bibs and around the pool. Furthermore, for professional photographers covering this event, the Nikon Professional Services (NPS) depot in the media center will provide support and services, including equipment inspections, cleaning, minor repairs and the loaning of equipment. The FINA World Championships is a prestigious biennial aquatic sports event hosted by FINA, which has 202 member federations. Nikon first partnered with FINA in 2007 and has supported the FINA World Championships and the FINA World Swimming Championships (25m) ever since. Because of Nikon's respect for athletes, who continuously challenge their own limits, and its wish to enhance its presence worldwide, it will continue to support international sporting events. When the Canon EF 35mm f/2 IS USM Lens was announced, we understood that the lens hood and pouch were not included. As usual for a non-L lens. On November 21, we published a news announcement noting the apparent inclusion of a lens hood and case with the purchase of this lens. The accessories were (and still are) listed in the "What's in the Box" section of the product page at both B&H and Adorama. A B&H rep informed us that this information was sourced directly from Canon. "EF35mm f/2 IS USM lenses imported by Canon USA will not be supplied with lens hood or pouch, as confirmed by our sales group. If the dealers in question are offering the lens with these accessories in the box, it would most likely be a gray market item." "We have double checked and confirmed that Canon U.S.A. is not providing a soft carrying case, or lens hood with the 35mm F/2 IS lens." While everyone is still not on the same page, we are going to go with Chuck and Rob on this one. Oh well...at least we are still getting center-pinch lens caps!